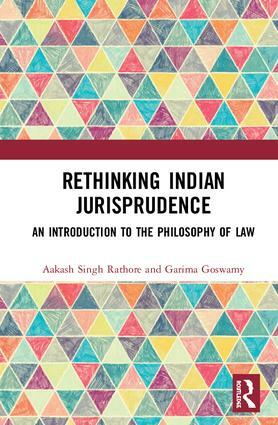 Aakash Singh Rathore specializes in Legal Theory (Post-Doctorate) and Comparative Constitutional Law (LL.M. ), and is currently Visiting Professor at the Centre for Philosophy, Jawaharlal Nehru University, New Delhi, India. He is also an International Fellow of the Center for Ethics and Global Politics in Rome, Italy. His publications include Plato’s Labyrinth: Sophistries, Lies and Conspiracies in Socratic Dialogues (2018), Indian Political Theory: Laying the Groundwork for Svaraj (2017) and Indian Political Thought: A Reader (co-edited with Silika Mohapatra, 2010), also published by Routledge. Garima Goswamy has taught Philosophy at Lady Shri Ram College, St Stephen’s College, Laxmibai College and Hansraj College, University of Delhi, and at BML Munjal University, India. Currently she works in the risk-consulting industry.